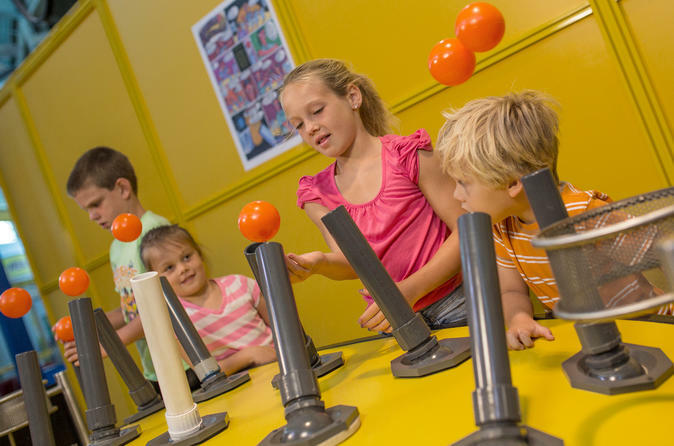 At Tampa’s Museum of Science and Industry (MOSI), browse the many hands-on exhibits on science, industry and technology. With this general admission ticket you'll be able to come face-to-face with the future in the Connectus exhibit, and create your own invention in the Idea Zone! With an additional fee payable at the door, you can gaze into a starry night sky in the Saunders Planetarium, zip around in the Rollercoaster Simulator and conquer your fears on the Sky Trail Ropes Course. These interactive and educational experiences are the perfect activity for the whole family!